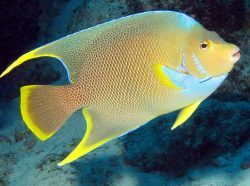 Saltwater angelfish, family Pomacanthidae, are marine fish whose native habitat stretches from the Pacific Ocean to the Atlantic and to the Indian Ocean. 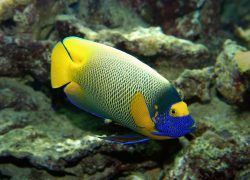 While there is a large variety of saltwater angelfish, many people break them down into two groups: Large saltwater angelfish and dwarf saltwater angelfish. 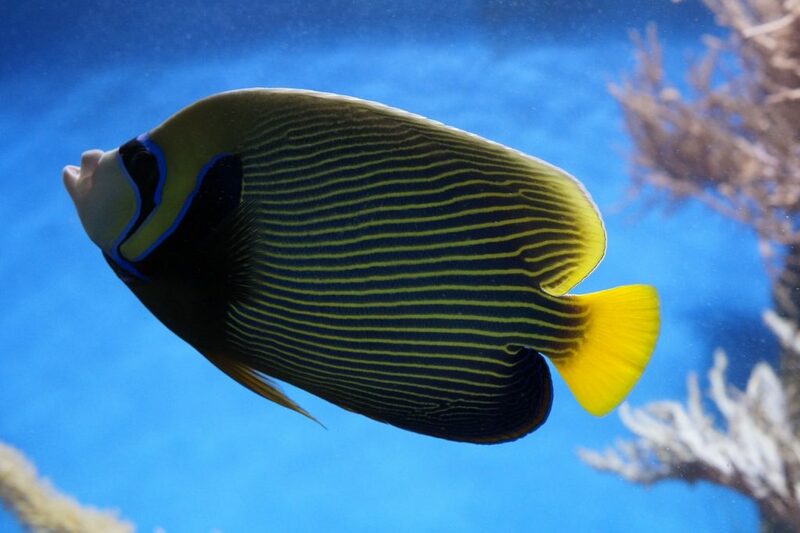 Large saltwater angelfish are one of the most sought after marine fish because of the beauty they add to an aquarium. While taking care of them can be a labor of love, if you’re diligent about caring for these creatures, there’s no reason they shouldn’t provide you with many years of pleasure. As the name implies, many of these fish are large, and it’s not uncommon for them to grow up to 12 inches or larger, which means these fish are going to need a big tank. In addition, while these fish are beautiful, they’re also very expensive, and you can expect to pay $50-$100 and up for a single fish. 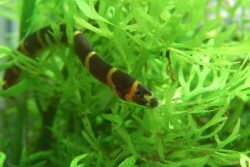 Because of these factors, and the care required to keep these fish happy, they’re not recommended for the beginner hobbyist. Like many marine species, the large saltwater angelfish exhibits striking colors. 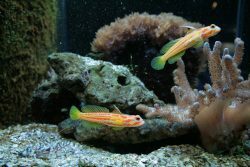 When you combine that with their disk-like bodies and graceful movements, it’s easy to see why these fish are highly desirable in the home environment. 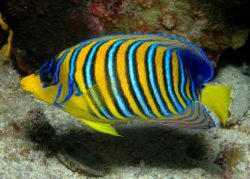 While there is a wide variety of large saltwater angelfish to choose from for your aquariums and fish tanks, we’re going to focus on the more popular species that can be wonderful compliments to your tank, and should be readily available in your local pet store or online retailer. 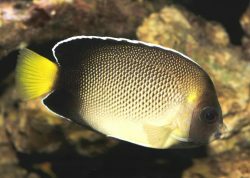 Click through each large saltwater angelfish variety to read more. 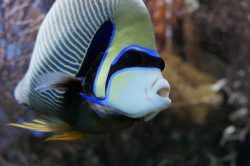 Emperor Angelfish are one of the most popular saltwater angelfish. Their color and graceful movements make for a beautiful aquarium addition. 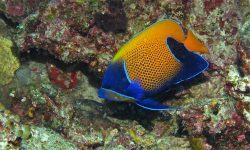 Blueface Angelfish is strikingly beautiful with a mesh-like blue and gold/orange pattern and a distinct dot that resembles an eye. The Singapore Angelfish is an impressive looking species with coloring that is particularly striking, with a shimmery silver body, blue lips and a dark vertical strip that runs though the eye. Blue Ring Angelfish or Annularis Angelfish are named for their bright blue rings or stripes that circle its orange/yellow body. 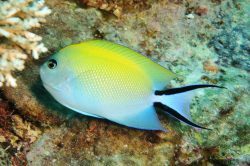 The Xanthurus Angelfish, or Cream Angelfish, is generally peaceful and relatively hardy, which make it ideal for the beginning hobbyist. It gets its names because of its creamy tan/brown overall coloring and yellow tail. The Blue Girdled Angelfish, also called the Majestic Angelfish, has strikingly gorgeous coloring. It has bright yellow/orange around the mouth, blue around the eye and bottom and a bright yellow/orange in the middle. The French Angelfish is a beautiful and striking specimen, which is very hardy and perfect for the beginning hobbyist. 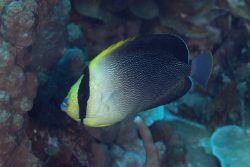 It is generally dark black with the edges of the scales tinged with bright yellow, and yellow on their pectoral fins. The Queen Angelfish is one of the most magnificent and elegant of all the species of saltwater angelfish, and are sought by many aquarists. It has exotic coloring, which is blue/green over much of the body and a peculiar radiant blue ‘crown’ on its forehead. 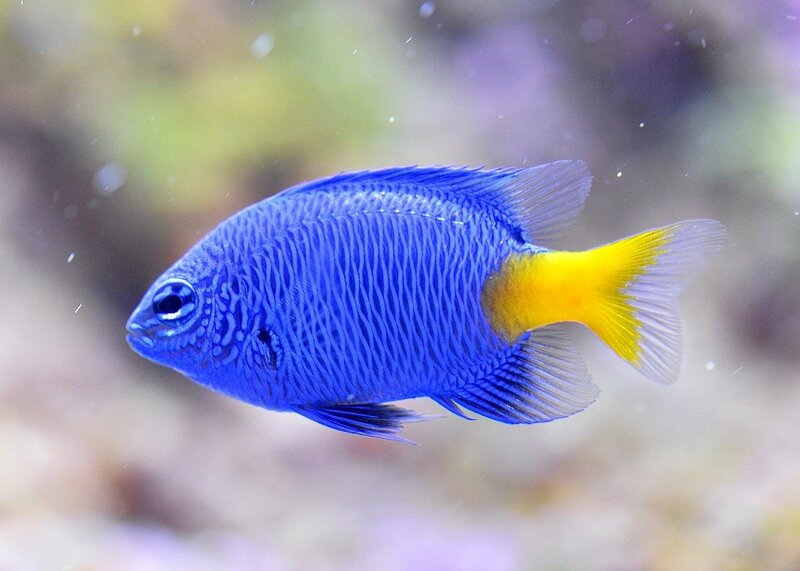 The Blue Angelfish is a beautiful and graceful specimen that can make a great addition to your home saltwater aquarium setup.The colors of this fish are also striking with a mix of blue/green over the body and a yellow face. 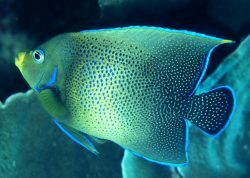 Although not as flashy as some of the other varieties, the Koran Angelfish exhibits a more subtle and refined beauty. 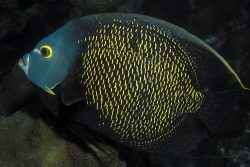 The Koran Angelfish is popular particularly because it’s a little easier to keep than other varieties. 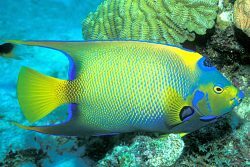 The Regal Angelfish is considered by many to be one of the most beautiful of all because of its vivid and striking coloring, which consists of a yellow body with blue/purple/white vertical stripes and blue/purple on the top and bottom fins.